A low-fat, heart healthy version of this traditional comfort food. A low-fat, heart healthy version of this traditional comfort food. 1. 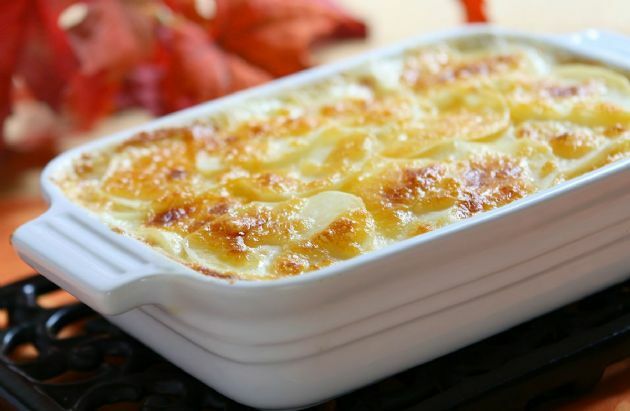 Layer potatoes and onions in casserole, sprinkling flour between each layer. 2. Heat milk and margarine and season with salt, pepper, and parsley. Pour sauce over all layers. 3. Bake 1 hour covered at 350° F. Remove cover and bake additional 30 minutes.